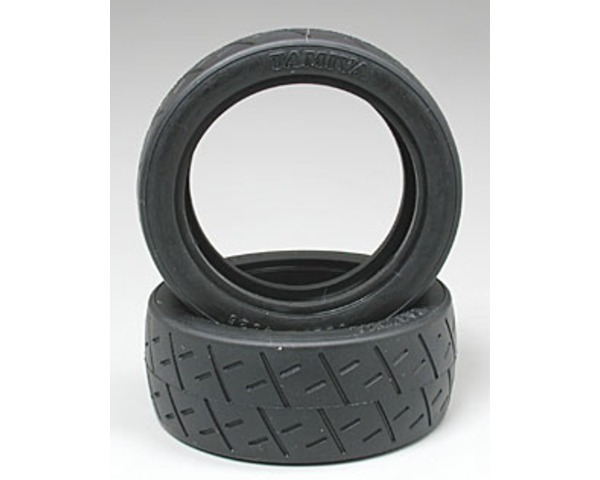 This is a pair of Racing Semi-Slick Tires from Tamiya. Shallow cross-cut racing tread pattern. 50770, 50772, 50783, 50789, 50844, 50861, 53232, 53335, 53336, etc.